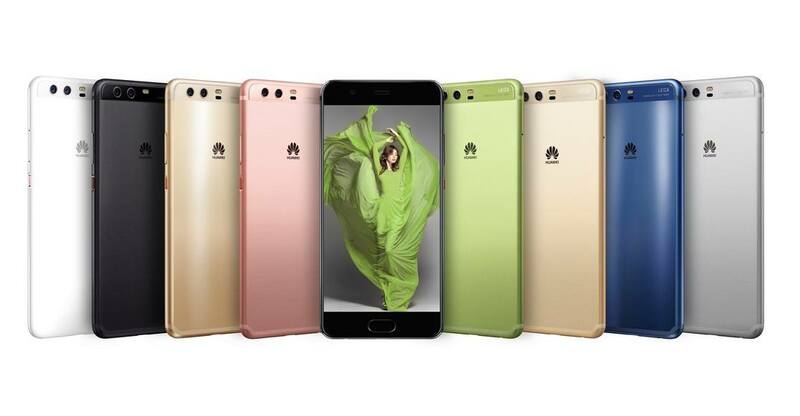 At Mobile World Congress 2017 today, China’s Huawei (and our fave) unveiled its latest pair of flagship smartphones in the form of the new P10 and P10 Plus as well as the Watch 2 an Watch 2 Classic. Along with a typical assortment of new features and specs, Huawei is once again making use of its partnership with camera maker Leica, as the P10 and P10 Plus feature some very impressive lenses and photography options. Starting off with the smartphones, the P10 features a 5.1-inch screen while the P10 Plus is outfitted with a larger 5.5-inch 2K display. On the inside the phones are powered by a Kirin 960 chip, with a 3,200 mAh battery for the P10 and a 3,750 mAh for the P10 Plus. The larger device is also outfitted with 4LTE Mimo and 2×2 Mimo support, making it one of the first 4.5G phones available. The cameras, however, are where the new phones really shine. The P10’s dual-camera setup on the rear pairs a 12MP shooter with a 20MP monochrome, while the front has a 8MP camera with a f/2.2 lens. Huawei boasts that a Leica camera has been used on the front of a phone, allowing selfies with an impressive bokeh effect, while the monochrome bokeh effects from the rear are said to be almost on par with a traditional Leica camera. The P10 Plus, on the other hand, uses the same 12MP and 20MP monochrome combo on the rear, but with a Leica Summilux lens, while the front-facing camera has a f/1.8 lens. Optical image stabilization is available on both photos and videos from the rear cameras, but not on the front. A small change from last year’s P9 is that the fingerprint sensors have been relocated from the rear to the home button on the front. Users will also have plenty of options when it comes to choosing from the 8 colors available, including blue, green, silver, and graphite black. Both the P10 and P10 Plus will ship running EMUI 5.1, Huawei’s custom take on Android 7.0. New software features include Ultra Memory, which allows app to launch up to 30% faster according to Huawei and compression of little-used data, and Discover mode, for automatic recognition of frequent locations, events, and people. There’s also a new Highlights feature that’s found within the image gallery. Designed in cooperation with GoPro, this can pre-select the best photos and videos, making them easily available for editing. Along with announcing the their new P10 & P10 Plus smartphones, Huawei is using Mobile World Congress 2017 to unveil a pair of new smartwatches. 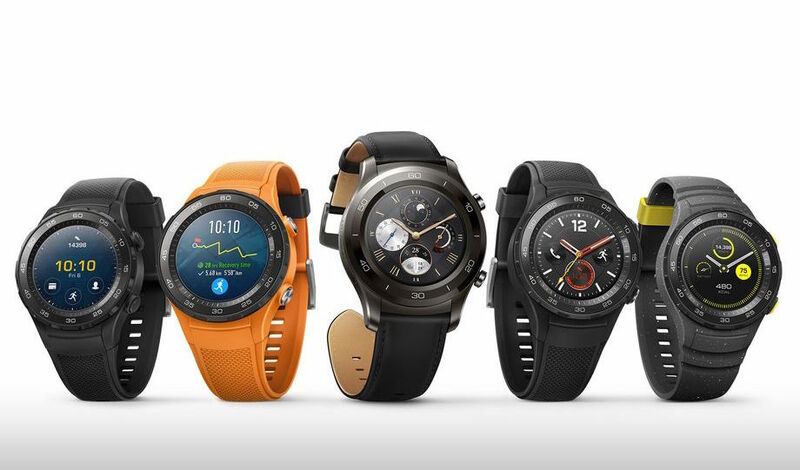 Arriving two years after the company’s first wearable are the Huawei Watch 2 and its sibling, the Huawei Watch 2 Classic. Powered by Android Wear 2.0, the smartwatches feature a stunning design, improved battery life, as well as 4G and GPS functionality. The Huawei Watch 2 will come in 4G and non-4G variants, with some regions getting eSIM versions while other get a standard SIM model. The watch features a 45mm diameter face, with a design that includes chronograph and double-crown layout, along with a ceramic bezel. Huawei says the Watch 2’s standard battery life will allow 2 days of usage. Activating the workout mode, which uses GPS and per-second heart-rate monitoring, will drop that to 10 hours of battery life. There’s also a low-energy Watch Mode that will offer up to 40 hours of use with a mere 10% charge, and 25 days on a full charge. Users can load the 2GB of built-in storage with music, listening through Bluetooth headphones or speakers. Along with health features like dynamic heart-rate monitoring and heart-rate zone indicators, the Watch 2 can offer warnings when a user’s heart-rate is too high. Among the various sport and activity tracking options is a special focus on running, with a dedicated button that lets users simply start running after a one-press activation. There’s also speed and lap tracking, goal reminders, and maps for guided runs. And when in-between runs the Watch 2 can offer up recovery advice and training evaluations. Local availability of both devices is yet to be confirmed.